Blackmoore by Julianne Donaldson is just the kind of book that I like to save for a rainy day, or after the kids are in bed. Because I am a writer, I tend to pick apart books while I read them so that I can learn from them. 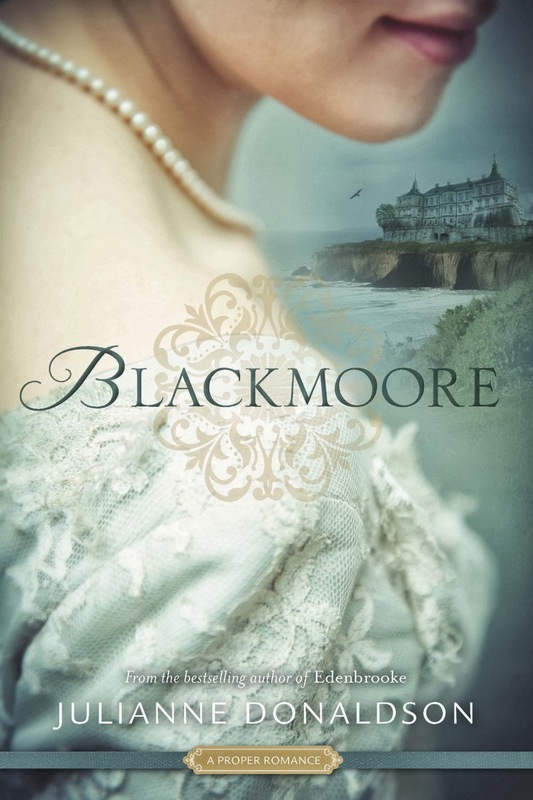 When I read Blackmoore, I got swept away in the moody setting, and the interesting characters. At first I had a hard time relating to Kate. She felt very selfish. But as each layer of her past was revealed, and especially toward the end, I understood where she was coming from. I love that she is not two-dimensional, and shouldn't be judged so quickly--a lesson that we should all learn and apply to real life. The premise of Kate needing to accept three marriage proposals felt odd in a book where the mood was brooding and introspective. I like the idea, but felt as if it belonged in a romantic comedy. I'm a sucker for symbols, and even though the bird in the cage was a non-too subtle metaphor for how caged Kate felt, I still loved it! I am having a hard time describing exactly what it was about the tone and mood of Blackmoore that kept me reading. It had texture. I felt as if I were there, in England, walking the grounds and finding secret passageways. I look forward to loosing myself in many more books from Ms. Donaldson. Read Awakening and enter the giveaway for Hulluchan Pro Irish dance ghillies! I'm so tickled to announce to you the publication of my debut novel, Awakening: Book One of The Geis! Awakening is a young adult mythic fantasy based in Celtic mythology. It is available on Amazon and Barnes and Noble. To celebrate, I'm giving away a pair of Hulluchan Pro Irish dance ghillies, generously donated by Antonio Pacelli. To enter the contest, purchase a copy of Awakening, and then send me a proof of purchase (whether it be a confirmation email, a screen shot of your purchase, or a photo of you with the book or the cover on your eReader), and then enter the Rafflecopter giveaway below! I, Spy by Jordan McCollum Book Blast-Free books! To save her country and her secrets, CIA operative Talia Reynolds must sacrifice the man she loves—but your choice is much easier! Just buy a copy of I, Spy during the book blast AND receive awesome prizes! Step 1: Buy the book any day from September 19 to September 22. Any retailer will do! Step 2: Email Jordan a copy of the receipt (jordan at jordanmccollum.com). Yes, even if you buy the book from Jordan's site, we need to know you want to receive the freebies. Step 3: Wait with bated breath. EVERYONE who participates gets fabulous prizes, including 13 free books and samples from wonderful authors! a sneak preview of The Witnesses by Stephanie Black, out next month! by Julie Coulter Bellon, out next month! What if I've already bought I, Spy? First of all, THANK YOU!! If you take a picture of you with your copy of I, Spy (or the cover on your reading device) and post it somewhere public on the Internet— Facebook (or maybe on Jordan's Facebook page), a Tweet, Flickr, Tumblr, Instagram, sky's the limit—send Jordan the link and you can have these fabulous prizes too! So spread the word! The more, the merrier! Purchase Awakening and a giveaway to win a pair of Hullachan Pro ghillie Irish dance shoes! Purchase Awakening and enter to win a pair of Hulluchan Pro Ghillie Irish dance shoes! A huge thank you to Antonio Pacelli for donating the shoes and supporting Awakening! Entering is easy! Purchase a copy of Awakening for just $2.99 on Amazon or B&N and then email me the proof! Welcome to the launch of Awakening: Book One of The Geis. Below you will find a schedule of the people who are kindly helping spread the word about the book. 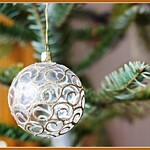 Many of the blogs will be holding giveaways, so be sure to visit each one! 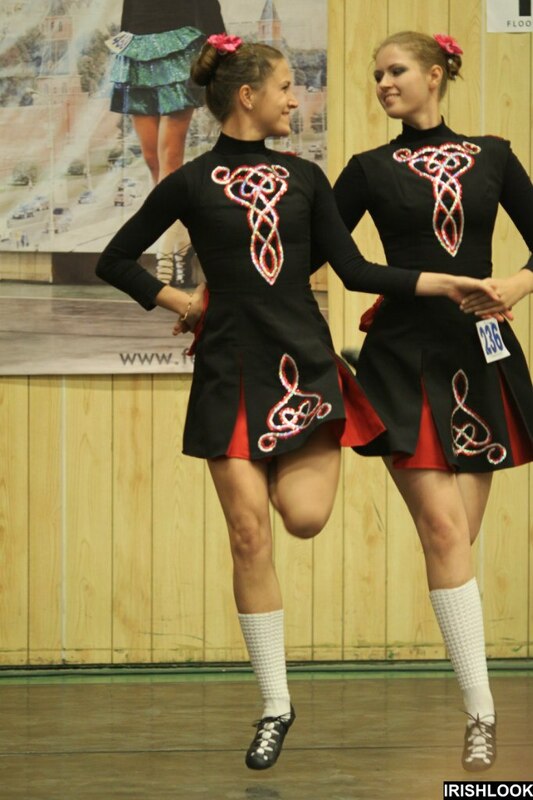 "It is wonderful to see Irish dancing and culture alive and thriving in Russia. I am very excited to be involved in the developing stages of this art form in this part of the world, and I see a great future for Irish dancing in Russia." Darya Markosyan teaches at the Carey Academy Russia in Yekaterinburg, Russia. She teaches dancers ages 12-48 years old, and the school is lucky enough to have regular instruction by John Carey A.D.C.R.G (certified teacher and adjudicator), from Burmingham, England. Christy: Your school recently coordinated with John Carey. How did this come about and what are the results thus far? Darya: I first saw John performing at NANs in 2006 and thought he was surely the best dancer I've ever seen. I wrote him an email, closed my eyes and pressed the send button, now my dancers have workshops with John and other Carey Academy teachers on regular basis. Our dancers joke than even watching John Carey dance for 3 minutes increases your own jump height in 5 cm. Christy: Where do your dancers compete and/or perform? 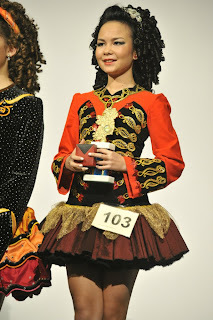 Darya: We try to go to at least two feiseanna in Russia and at least one in Europe. We do not really focus on performances as much as on competitions. 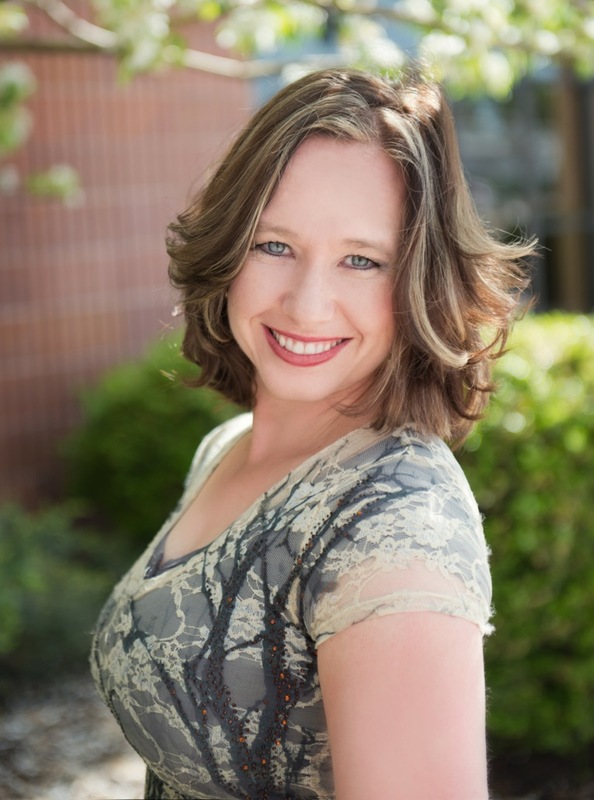 Christy: Do you teach adult dancers? How do they fit into your school's culture? 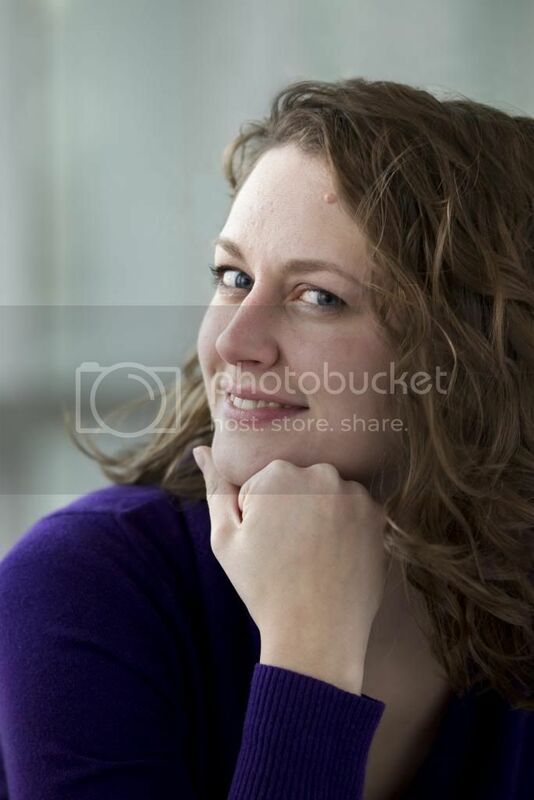 Darya: I teach mostly adult dancers. Irish dance is still very new to Russia, especially in the regions, so most of kids who dance in our school are our adult dancers' relatives, or their friends' children, or somehow related to people who are connected with the school. In my own class I have dancers aged 12-48 practicing together, cheering for each other at competitions and helping each other out, whether it's about mastering a new dance or coping with tricky homework assignment. Christy: How is Irish dance received in Russia? Darya: Whenever a show like Lord of the Dance or Gaelforce Dance is coming to perform in Russia, venues everywhere are sold out. While organizing feiseanna and grade exams, I discovered that professional dancers and choreographers in Russia do not take irish dancing serious (yet!). Christy: Earlier this year you attended the European Oireachtas, where one of your students became the first Worlds qualifier from your school. How do you think this will help motivate the other students in your school? Darya: I do see the difference already. Other dancers know Alina (age 13) quite well, see how hard she practices and realize that whatever they want is really possible to achieve. Christy: Can I ask Alina what her Irish dance goals are? Alina: If I qualify in Poland next year I will go to the Worlds in 2014. Honestly, I don't know what I will do after the Worlds. Maybe I will go on practicing, maybe I will give up dancing (because I need to study a lot as I will be in high school). But for now, I will dance on. And this is really a very important part of my life! Christy: How does it feel to be a part of Irish dance history in Russia? Darya: That's really exciting. Over the 10 years Russia has progressed from trying to copy moves from shows like Riverdance or Lord of the Dance, to dancing at World's stage. It's great to see schools from outside Moscow and St Petersburg organize feiseanna and grade exams and stand on podium during the results and meet people from all over the country. When I started dancing, the only tutorial everybody had was Olive Hurley's DVDs, and now there are six schools registered with CLRG (Irish dance organization), and the same people who accidentally influenced Russian Irish dancing (like Olive Hurley or Mary Duffy) are now adjudicating feiseanna here in the country. Readers: Are you an Irish dancer or a dance school, competitive or not, with a story to share? 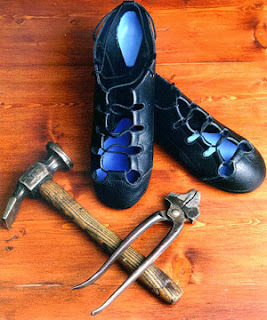 Would you like to inspire others to feel your passion for Irish dancing and culture? Do you have a question about Irish dancing? Awakening: Book One of The Geis will be available September 24th. From the author of the Book Blogger’s Cookbooks comes a thrilling debut novel based in Celtic mythology, Awakening is a gripping young adult fantasy rife with magic, romance, and mystery. Because some Celtic stories won’t be contained in myth . . . When an unexpected fascination with Irish dance leads McKayla to seek instruction from the mute, crippled janitor at her high school, she learns that her family is not the only one with unexplained abilities. After Aunt Avril comes to Star Valley in pursuit of a supernatural killer, people begin disappearing, and the lives of those McKayla holds most dear are threatened. When the janitor reveals that an ancient curse, known as a geis, has awakened deadly powers that defy explanation, McKayla is forced to come to terms with what is real and what is fantasy. In 2011, Christy Dorrity published a set of literary cookbooks known as The Book Blogger’s Cookbooks in an experiment to see if self-publishing would be a viable pathway to publication. The cookbooks have sold over 120,00 copies to date. 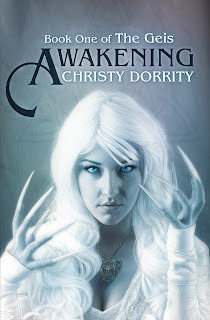 On September 24, 2013, Dorrity’s debut novel, AWAKENING: BOOK ONE OF THE GEIS will be launched. Christy Dorrity is a champion level Irish dancer. She writes a blog for IrishCentral.com, the leading Irish-American website in the United States. If you would like to review a copy of Awakening, please contact christydorrity@yahoo.com. Already know you want to read it? Add Spy for a Spy on Goodreads. Today, we’re especially excited to reveal the cover! But first, a little more about the book. Canada is probably the last place you’d expect to find an American spy. And it was the last place CIA operative Talia Reynolds expected to run into fellow operative Brand Copley. AKA her new boss. AKA her ex-boyfriend. Just the guy every woman wants to face in the middle of planning her wedding. Once again, Talia’s lying to the man she loves, but this time, to protect his heart. After Brand takes over Talia’s latest case and steals her newest agent, he assigns her to spy on her old boss—who’s suddenly giving her every reason not to trust him. With only weeks until the big day, planning falls by the wayside as she goes into damage control mode. But when Talia discovers Brand’s real motives, fighting him is the only option, no matter what the personal and professional cost. More about Spy for a Spy | Add Spy for a Spy to Goodreads! Join Jordan’s mailing list for sneak peeks & a chance to get an advance review copy! Spy for a Spy is the perfect followup to McCollum’s exciting debut, I, Spy. With more tension, more romance and higher stakes than ever, Talia’s story won’t let you go until you’ve come to the heart-stopping, surprising conclusion. Such a fun read! Jordan McCollum’s talent for first person present tense narrative puts the reader in the driver’s seat for heart-pounding action in Spy for a Spy. . . . Talia is back along with her fiancé Danny, and many of the same great characters from I, Spy. We also meet a man from Talia’s past, a high ranking CIA operative with secrets that threaten the U.S. . . . This novel is a perfect blend of danger, intrigue, romance and even a little of the LDS religon. It is a great read the whole way through. Spy for a Spy is a story threaded with an unforgettable main character, high stakes espionage, and a case of wedding jitters that would try the patience of any groom. McCollum deftly keeps us on a tightrope of page-turning suspense balanced with witty romance that will not let you down. A great follow-up to I, Spy, and one you don't want to miss! Follow Jordan on Twitter, like Jordan on Facebook and add Spy for a Spy on Goodreads today! Check out Jordan’s blog tomorrow for your first chance to get a sneak preview! Why I didn't shop my book to publishers. It has been interesting as I've traveled on this self-publishing journey to see how people react to the fact that I am an Indie author. Someone will ask, "Who is your book being published with?" and when I respond, "I am self-published," most people can't hide the surprise and even pity in their response. I am sure they are thinking that I couldn't get a publisher, or that my book appeals to a small group of friends and family. The truth is, I didn't even shop my book around. Even with the flood of ereaders and the availability of ebooks, there prevails a stigma around self-publishing. That stigma is well-founded in some ways. There are thousands of would-be authors who can write a story or a how to book and slap it up on Amazon. And there are many books that could use a good editing and a brand new cover. But I'm thinking that with the book industry, like anything else, the stories that have staying power will rise to the top. Self-published authors who take the time to learn their craft, and are willing to spend the necessary time and money can produce a good quality story that others will pay money to read. I have to give a little disclaimer here. I am not against traditional publishing. I actually have some other titles out on submission. One is a picture book about a girl who blows out her birthday candles and wishes that every day were her birthday. The other is a series of early readers about a girl and her fairy companion. I believe that there are many roads to publishing, and that those roads will continue to expand. Each author chooses a path, and each book may need it's own direction. 1-I have the resources. My husband is a writer, a graphic designer and programmer. He helped me brainstorm, attended conferences with me, created the cover, and formatted my book across platforms. 2-I am a stay-at-home-mom. If my book does wildly well, I can't afford to take off and go on book tour, and attend a million author events. I can, however, create my own deadlines, write during nap time, and market after bedtime. 3-I have a good base of networking with other writers, book bloggers, and Irish dancers(something that is prominent in my book). I have been told that unless they are a top listed author at a major publishing house, authors are expected to do most of the marketing themselves. I figure that I can do that either way, I just get a higher royalty if I do it myself. 4-I am dedicated and willing to improve my craft. I've been studying and writing for almost five years and I plan to continue to improve my skills as a writer. 5-Last, but not least, I'm curious. I want to know: can I write a book, edit it, and using the tools at my fingertips, create a book that will rival books from the big boys? Can Indie publishers rival traditional publishers? I know it can be done. Can I do it? 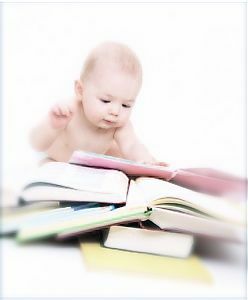 Do you plan to self-publish? Or is traditional publishing the way for you? Help me celebrate the launch of AWAKENING! My book baby is about to be born and I can't wait! Seriously, I feel like I'm nine months pregnant and counting every day. To celebrate, I'm having a party and you are invited! There are two events going on. First of all there is an all-day launch party on Facebook, with tons of games and prizes. Come over on September 24--my book baby's birthday! The fun will start at 9am MST and go every hour until I fall over from exhaustion! Second of all, my Irish dance school is hosting an Irish dance party/book signing. For anyone who lives close, the party will be held on Saturday, September 28 from 6-8 pm at Legacy Irish Dance. The address is 1868 N. Hillfield Rd, Suite 107, Layton, Ut. 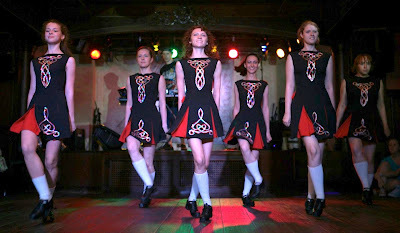 You will be entertained by champion Irish dancers at around 7 pm (You might just see me do some dancing there as well). I'm participating in a blog hop that was begun by my friend Mikey over at http://writtenbymikey.blogspot.com, and I was invited by my friend Stephanie over at http://stephaniefowers.wordpress.com. It's fun to read their answers to the questions. This should give you an idea of what I've been up to. Feel free to join in and let me know in the comments what you have been working on. I just finished edits on AWAKENING (Book #1 in The Geis). It's my debut novel, and it's taken me a long time to get to this point, so I am really excited! It comes out in print and ebook on Amazon on September 24th. I write what I'm passionate about. I love to read young adult books, and most of what I read is fantastic in some way, whether it's a fairy retelling, a paranormal thriller, or magical realism. I can't imagine writing a story without some kind of fantastic going on. Fantasy is a great way to escape the real world. I've been a dancer all of my life and when I was 22 I began Irish dancing. I'm fascinated with the rhythm, the music, the culture, the history, and the mythology. What could be more natural than a series of books about Irish dancing and Celtic mythology? I brainstorm with the help of my husband, and we do a lot of 'what if'-ing. Then I hang what I have of my plot on the 7 point story-structure as taught to me by Dan and Rob Wells. After that, I flesh out my structure with the "Save the Cat" method . Then comes a detailed outline. After that, I flesh out each scene as I write it, one at a time. Then come round after round of edits. I go through a content editor, and a copy editor. For this book I also consulted an editor in Ireland so that I could make sure that I had the mythology and Irish culture right. Because I am an Indie, writing the book is only half of the fun. Then comes creating the cover with my husband. He's pretty dang talented. I send the book to beta readers, and advanced readers, then we format the book for print and ebook. I'm not going to even go into the marketing. You get the picture. It's a super fun process and I enjoy every step. What fun! What are you working on? On August 21, 2013, two Irish dance organizations merged together to form a larger open platform organization. 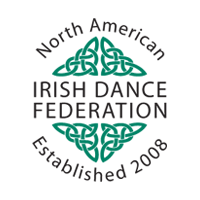 Earlier that month, the National Irish Dance Federation (NAIDF) split, with many of the individual schools being welcomed into various organizations. 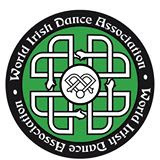 Many Irish dance schools that previously participated in NAIDF were welcomed into the World Irish Dance Association (WIDA). Sean Gavan, founder of WIDA is confident that the merger will benefit dancers of both organizations. "This merger will give people who want to try something different from the existing large dancing bodies an organization with a wider geographic reach as something to be part of,"Gavan says. Both WIDA and NAIDF were open platform organizations, which means that any dancer can participate in competitions, regardless of the organization that they belong to, and even if they are self-taught. The merging of organizations combines the efforts of each one to bring more experiences to those who are involved. It will now be easier for all Irish dancers to make choices that are suitable for them and their families. Gavan says, "In times past, the options of choice were limited, but today that has certainly changed and we look forward to seeing the awareness of Irish dance increase and become more accessible for everyone." 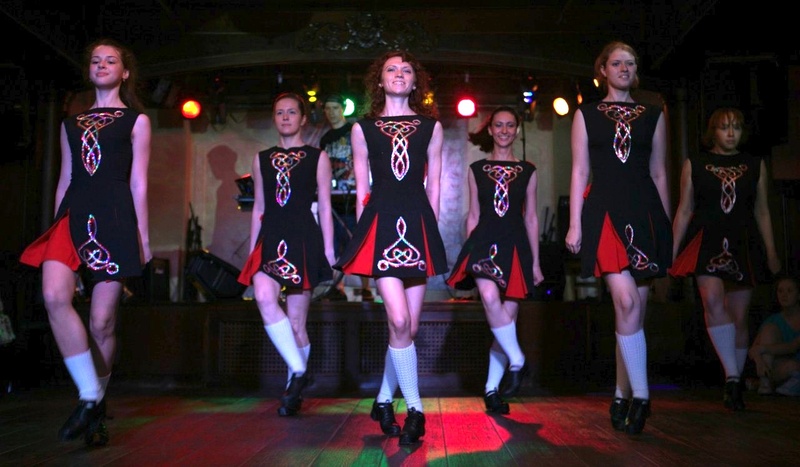 Among the other options available to those who were affected by the NAIDF split is a new organization called Rince Tuatha Nua, which means, "a new Irish dance community". More information about many Irish dance groups who participate in open platform competitions can be found at The Road Together website. "We are very happy to welcome so many new schools in to the WIDA organization," Gavan says. "We look upon ourselves as a family and we welcome all the new schools in to our dancing family."